He is a wise man who does not grieve for those things which he has not, but rejoices for those which he has. I have learned to be content whatever the circumstances. I know what it is to be in need, and I know what it is to have plenty. I have learned the secret of being content in any and every situation, whether well fed or hungry, whether living in plenty or want. I can do everything through him who gives me strength. 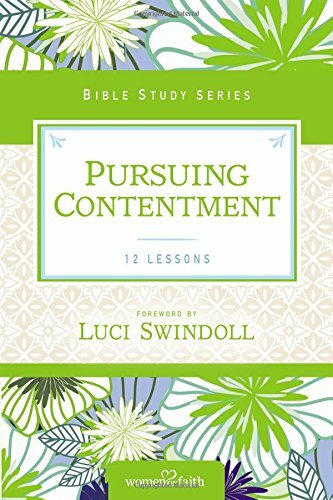 Twice Paul writes that contentment is learned (vs.11, 12). 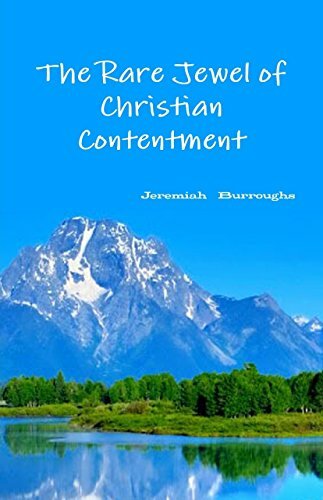 Contentment doesn’t seem to come naturally to people and this is certainly exacerbated by living in the United States. Our culture constantly encourages us to crave more – more money, more power, more pleasure, more security. Even Christians who have all of their needs met (and a whole lot more) are not immune to the temptation to constantly look for ways to achieve more, buy more, and experience more. Paul “had it all” before he was called by Jesus. He had an excellent education, a position of power and authority, a good secure life, and a promising future. Paul could truthfully write that he knew what it was to have plenty. He also knew what it meant to be in want as he lost a great deal when he followed the call of Christ. He was beaten, stoned, shipwrecked and went without food, water and sleep more times that we can imagine. 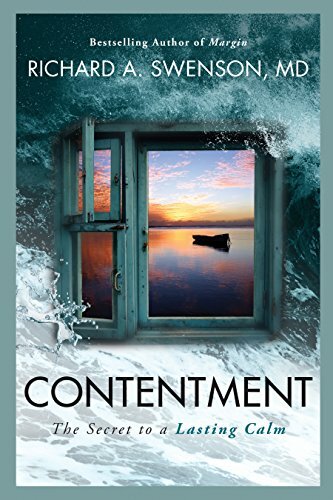 And yet, in spite of all these circumstances, he learned contentment. Or, perhaps more accurately, he learned contentment because of these difficult situations. 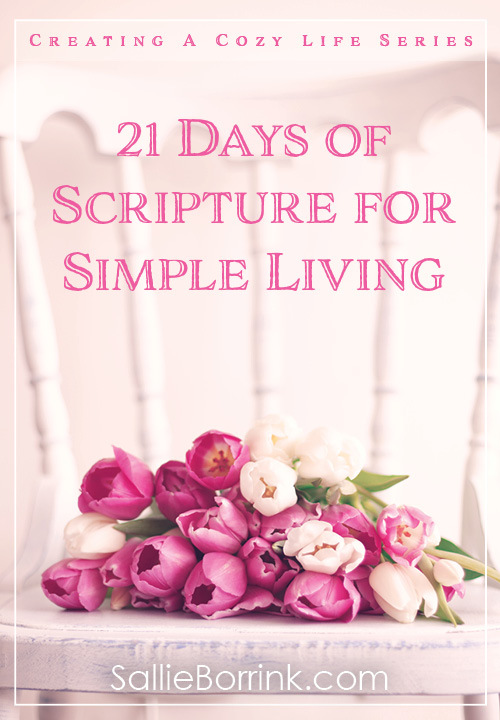 Paul learned to focus not on what was happening to him and the physical difficulties he faced, but instead the secret of being content (vs. 12). Perhaps Paul reflected on Proverbs 19:23 during times of difficulty: The fear of the LORD leads to life: Then one rests content, untouched by trouble. Was Paul untouched by troubles in the physical sense? No, and he had the scars on his body to prove it. But in the midst of everything that happened to him as he shared the gospel, Paul was able to focus on the important things. He feared the LORD which led him to life and enabled him to rest contentedly, untouched spiritually by all of the troubles around him. Paul is very clear as to what makes this possible: I can do everything through him who gives me strength. (vs. 13). Paul knew that to try to be content under his own power would be futile – only the Lord could give him the strength he needed. Paul learned the secret of where contentment can be found – depending on the Lord in all circumstances and resting in His strength. 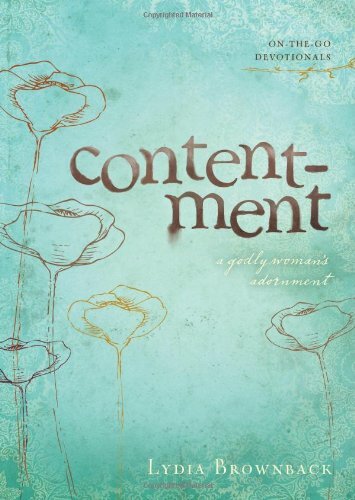 Contentment means knowing what is really important and ordering our daily living in a way that reflects that. If we are consumed with the things of this world, we will never be content, but rather will always be running after a better home, a flashier car, a more lucrative job, a more attractive spouse. Paul knew that the most important thing in this world was the spread of the gospel so that men and women might be reconciled to God. As long as he had food and clothing, he was content because as long as he had those two things he could get up each morning and proclaim the Gospel to those who were lost. That’s an especially challenging thought. Would I really be content to just have food and clothes and know that God is with me all of the time? So does being content mean that Christians should be complacent and never try to change circumstances in our lives? No – contentment and complacency are different. 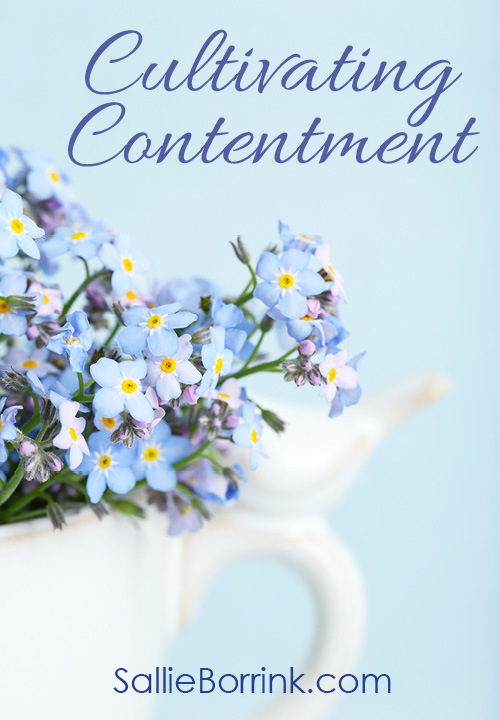 Contentment is graciously accepting God’s will for our lives. Complacency is closely related to laziness and indicates an indifference to circumstances in our lives. God doesn’t want us to be indifferent. He is a God of excellence, beauty and pursuing all good things, and He would want us to seek that which is best. But He would have us do it with a spirit of contentment and with a desire to bring Him glory, honor and praise. As I’ve learned my contentment lessons over the past several years, one thing has become strikingly clear. 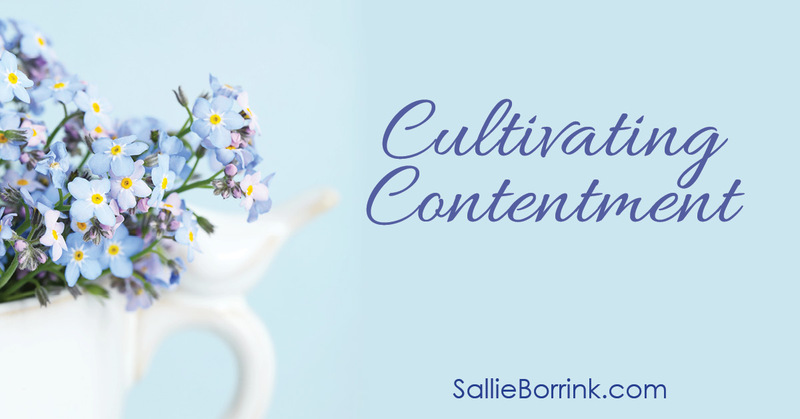 Contentment is a choice and must be cultivated. I must choose to be content, and it is a decision that often needs to be made several times a day. I must choose to be satisfied with whatever God does in my life, with whatever He gives me or decides in His wisdom to withhold. To not be content with the life God has given me is to really say I don’t trust Him and that I think I know better than He does what should be happening. I have also learned that I need to avoid things and people that stir up discontent in my life. Going through the day with a song of thanksgiving on my lips for all that I have been given brings a sense of contentment and peace. Spending the day rehearsing everything that is “wrong” or that I don’t have certainly does nothing to cultivate a spirit of contentment. The choice is mine each day and, sometimes, each hour. 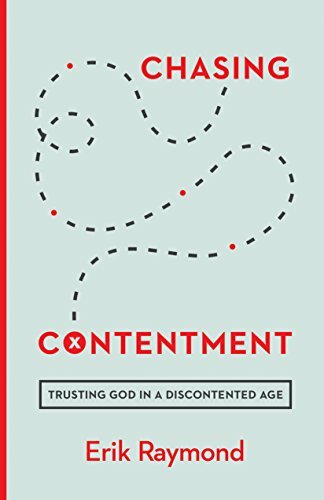 True contentment involves a daily surrendering of ourselves to God. It hinges on our acceptance of His goodness and sovereignty. If we are constantly doubting God and His loving goodness in our lives, it will be impossible for us to be content. If we don’t trust God to lead us and direct our lives, we will always be restless and looking for that one elusive thing that will make us truly happy. 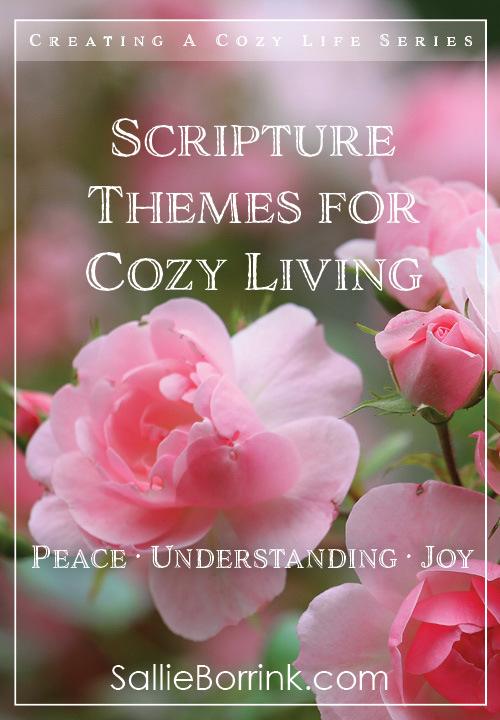 One of the greatest joys we can know is the joy of resting in God’s love and watchcare, knowing deep contentment because we have left the worries and concerns of the world in His infinitely capable hands. Without this, contentment in this life is impossible. Ultimately, truly content people recognize that this life is not all there is. They have eyes that see with an eternal perspective and look beyond the distractions of this world. 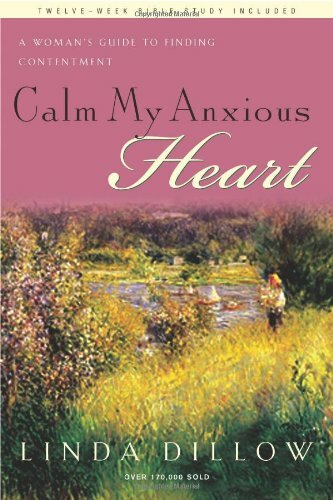 They understand that complete contentment is yet to come when they are with the Father, but until that time they have learned to wait on the Lord, trusting Him to provide for all their needs, able to rest in His excellent provision in their lives. This reminds me that no matter the burden I bear, He bears the yoke with me- and He always carries the heaviest part. I can learn to be content in knowing I’m in the best company. I’ve heard about that book so many times, but have never read it. I should look into it. That’s a lovely quote you shared. Thank you.